(VOVworld) – The 9th blood donation festival called “Red Sunday” was held in Hanoi on Sunday by the Tien Phong (Vanguard) newspaper, the National Committee for Traffic Safety, and the National Institute of Hematology and Blood Transfusion. 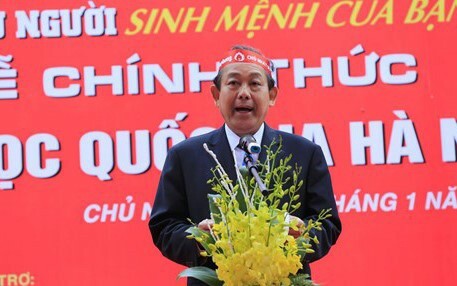 Addressing the event, Deputy Prime Minister Truong Hoa Binh applauded the campaign for widespread influence on the public and contributions to national blood donation movements. 25,000 units of blood expected to be collected during the “Red Sunday” will help treat patients during the upcoming Lunar New Year holiday. This year, the festival is held in 25 provinces and cities all over Vietnam with 40 voluntary blood donation sites.